Why do human beings love the zingy taste of coffee so much? Perhaps it’s the alluring aroma of freshly roasted coffee beans, or the unhealthy affair with caffeine that many individuals find themselves enthralled in. While there are undoubtedly numerous coffee shops that are able to quench your insatiable thirst for a delicious cup of coffee, you will not find better than in the charming town of Stellenbosch. Apart from its interesting name, this sophisticated coffee shop has received a number of rave reviews, providing you with a mind-blowing coffee experience that’s amalgamated with excellent customer service and a tranquil atmosphere. Situated along Stellenbosch’s historical Dorp Street, this trendy coffee has been described as the “perfect coffee joint in Stellenbosch”. Providing you with a welcoming atmosphere that’s infused with the smell of coffee beans roasted on a daily basis, this mouth-watering roast is imported from the coffee fields of El Salvador. If you’ve got a hole in your tummy and you’re looking to fill it, this is not the coffee shop for you. Blue crane and the butterfly provides customers with a small, yet varied menu that ranges from fresh croissants with cheese, to delicious cheese cakes. 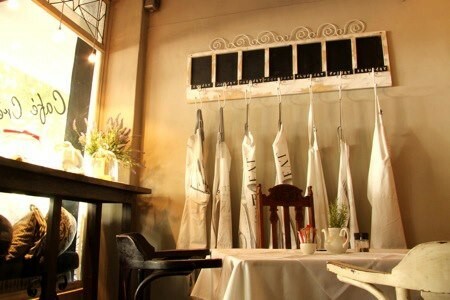 Café Crème is a coffee shop that seems to encompass all that the historical town of Stellenbosch has to offer – beautiful, charming and tranquil; stepping into this buzzing coffee shop will not leave you disappointed. While it has only been keeping Ryneveld Street teeming with people for approximately eight months, these trendy coffee gurus provide you with an electric atmosphere that can be felt the minute that you walk in. If the stunning décor and atmosphere is not enough to draw you in, the delicious smell of freshly brewed coffee might just be enough to send you over the edge. The only disadvantage that this shop possess is the constant scrambling for tables, however, this is just a simple testament to the popularity of this quaint coffee shop. While this is not a coffee shop in the traditional sense, you will not be disappointed when you enter this seemingly candy-coated shop. A base for owner Yvette Barrett to head up her catering business, this unique and flavoursome shop provides you with the opportunity to get your hands on this qualified chef’s scrumptious confectionaries. If you’re looking for a little piece of European culture nestled in the heart of Stellenbosch, then this is the perfect place with which to do this. Additionally, if you’re a huge fan of the latte, then Dipped Confections is the ideal spot, providing you with everything from hazelnut to double chocolate cookie. Strong coffee and incredible treats to enjoy, this is a “coffee stop” that should not pass up. There is nothing like the whimsical atmosphere that the town of Stellenbosch provides, if you’re looking to enjoy a delicious cup of coffee during your December holidays, make sure that you visit the Villa Grande guest house for all your Stellenbosch accommodation needs.